Thanks to all the parents who attended last week’s meeting. In between having a fun time, we also got some band business taken care of. If you weren’t able to be there, you can read Roxane’s excellent meeting notes here on the MacBand website. One thing that we discussed at the meeting was the status of setting up a Bottle Drop account for the band. We are steadily getting closer to having this in place. Jesse is in the process of finishing up the application and soon you will be able to support the band with your donation of returnable bottles and cans. I’ll let you know when everything is ready to go, but for now, start gathering. The Winter Percussion was ready to hit it as they took the floor on Saturday at the Sherwood Winter Showcase. This was just their second time in competition and their first time in their new “super” shirts. This hard-working group did a great job and again scored above 60 points! Despite being down 4 members (3 on the choir trip and 1 due to injury) the Winter Guard stepped it up and posted yet another high score for the group. Their score of 75.24 earned them the 3rd place trophy at Sherwood. And thanks to all the parents who turned out to lend a hand with transportation, moving equipment, keeping the kids fed and cheering them on! Each of these groups has one more competition this season. 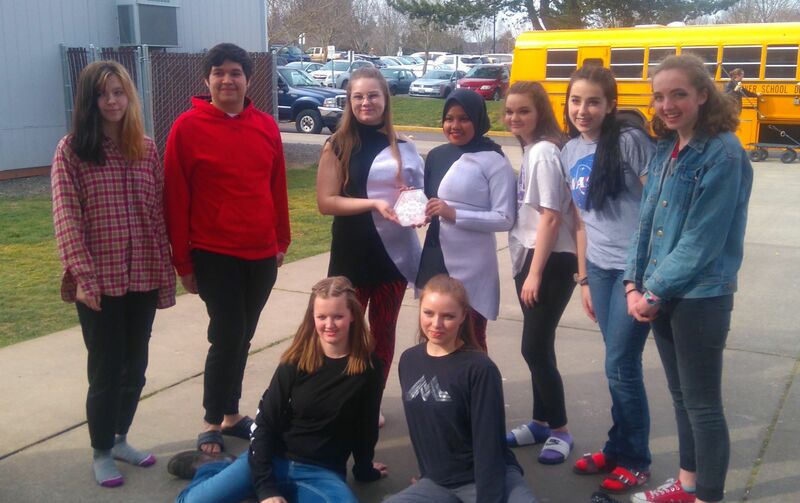 The Winter Guard Championships are scheduled for March 30th at Liberty High School and the Winter Percussion Championships will be on April 6th at West Salem High School. Plans are also being made for a “friends and family” performance in early April. More details to follow in a future email. The parent group at Liberty High School is offering space in the championships program for parents of senior guard members to purchase a “shout-out” ad. If you would like to take advantage of this, please send me a note and I’ll get you the information. Jazz in the Evening – Thursday, March 21 @ Patton Middle School. The Jazz Band will perform at 6:30 p.m. as part of the 5th grade band concert. Jazz in the Morning – Friday, March 22 @ McMinnville High School. The Jazz Band will perform at 8:00 a.m. (I believe this will be in the Library).